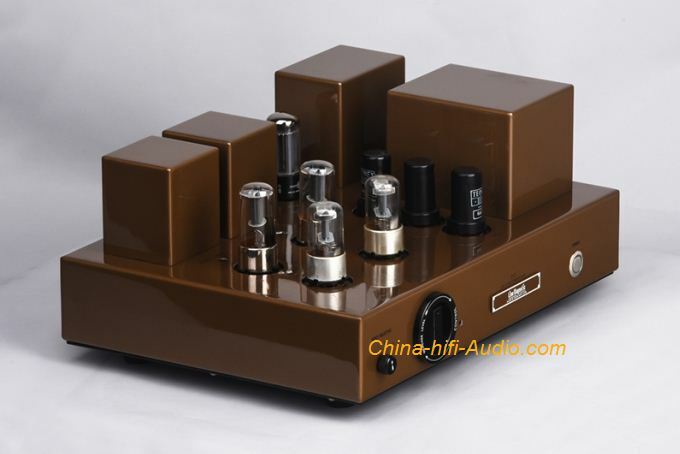 Line Magnetic G series is a new series of products developed by Foshan Line Magnetic Studio after the re-enactment of Western Electric antique preamp, power amplifier series. The G-series sound style is based on the gentle and natural nature of the antique series, adding bandwidth, pole extension and control. The G-2 preamp uses the "Line Magnetic" WE series core developed for audio transformers. The new G-series technology makes the G-2 preampliifer sound and bandwidth more attractive. The Line Magnetic G-2 uses the newly developed pre-amp transformer output and adds the transformer output and cross-connect capacitor pass-through output function switch, making the G-2 pre-amplifier versatile and playable. The Line Magnetic G-2 is equipped with a remote volume function for easy adjustment. Using tube rectification and three regulated vacuum tubes, the G2 preamp is energetic and has amazing control.